| Solid Comedy Starring Arthur Lowe! I bought the DVD series because I was desired to see it. None of the local PBS stations in the New York City area bothered to show it in recent years, I found Arthur Lowe to be the heart and soul of this show as Father Duddleswell. The young actor, Daniel A., plays a young priest named Father Neil Boyd. I have to say the comic humor is dryer than Father Ted. 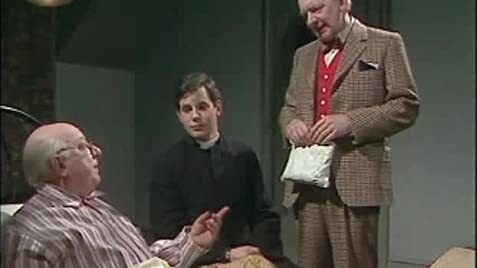 The show explores the elder father's flaws such as his gambling habit and the younger priest's naivety. Also, I love Gabrielle Daye as Mrs. Pring who may not always be approving of Father Duddleswell but she's great as their opinionated housekeeper. I have only seen a few episodes but the writing and acting are solid. Guest stars like Peter Bowles and Sheila Keith make it worth watching. I don't know why people don't think priests or sisters are interesting worthy to be treated as a subject. If I was born a male, I would probably have been a priest myself.